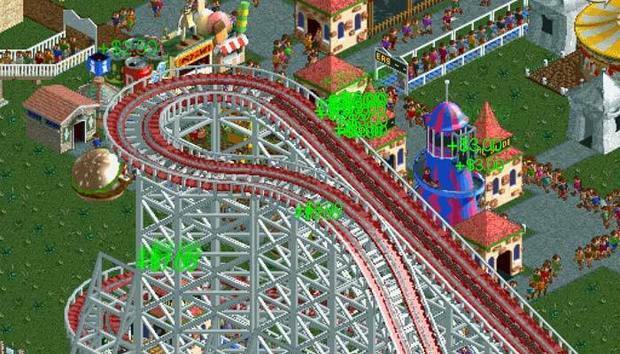 For die-hard fans of Roller Coaster Tycoon, the classic has returned. And it’s good. Eighteen years after the original amusement park simulator was released, Atari has brought Chris Sawyer’s classic to iOS. The Black Widow is but one of the many roller coasters you can build and attract guests with. A handy tutorial system shows you how to perform functions such as building rides, as well as configure specific elements such as how much to charge for a ride, how often a ride is maintained, how to hire staff, where to place staff throughout the park and how to handle emergencies as they surface. The game itself is easy to learn and once you’ve learned how to purchase the rides you want, create an entrance and an exit for each ride as well as a pathway for guests to access it, you’ve mastered the core mechanics. You can pull up a detailed view of your financial situation to predict how the park will do over the next year. The beauty of Roller Coaster Tycoon Classic is that you can play casually or dive in as deep as you want to, customizing just about every detail of your park. Like other simulation games, you can pause the game to catch your breath, play it at its normal pace or speed things up as needed. Amusement rides can be built via their templates or custom designed while the add-ons give the game’s fans everything they love and crave. Other cool features, such as being able to select a park patron and see exactly what they love or hate about your park, help you create a better experience for your target market. Unfortunately, there are a few kinks to work out. At present, Roller Coaster Tycoon Classic lacks a good terraforming tutorial, so learning how to raise or lower land in order to make it possible to build on it takes some trial and error. Other bugs, such as not being able to fully demolish and clear a structure and thus having a large roller coaster you’re not using occupy space, and only being able to buy new land one square at a time makes things frustrating at times. Finally, the game’s graphics haven’t been upgraded, making it tricky to zoom in on crowded structures to see where to build a path, especially where large rides are concerned. Burton is thirsty and would like a drink. Make sure there are enough beverage stands nearby to quench his thirst for a reasonable price. This is the game Roller Coaster Tycoon fans have wanted. The missions are fun and it’s nifty to unlock the next challenge and figure out how to complete a new mission, complete with its own deadlines and specific parameters. In the end, Roller Coaster Tycoon Classic is worth its $6 asking price, even if there are some wrinkles to smooth over in a future update.